Queer Coffee is committed to high-quality, certified organic and fair-trade beans, but we also want to give back to our community with every cup. Because of that, we’re excited to announce the first nonprofit beneficiary of Queer Coffee: the Campaign for Southern Equality. Two dollars of every bag sold will support their work and our goal is $1,000! Sign up to receive our enewsletter (in the “News and Offers” box to the right) and we’ll announce when production begins. You can also make a direct donation to the CSE here. Based in western North Carolina, and working across the South, the Campaign for Southern Equality works with LGBTQ+ Southerners to promote full legal and lived LGBTQ equality. I recently spent some time on the phone with Lindsey Wilson, their Director of Engagement and Operations. I was glad to learn that their work starts by asking what an LGBTQ Southerner needs when they decide that they’re ready to lead transformative equality efforts in their hometown. As someone who has lived in the South and recently served as the interim LGBT coordinator at my alma mater, Murray State University in Kentucky, coming out and becoming an activist can pose significant risks. The Campaign for Southern Equality recognizes that LGBTQ southern activists may have to disrupt longstanding personal relationships and community safety nets and face day-to-day discrimination, often while needing economic and legal support themselves. The CSE uses a range of tools in their work, including direct services, direct action, litigation, grant-making, and long-term organizing strategies to support a new generation of LGBTQ leaders building political power over the long term. 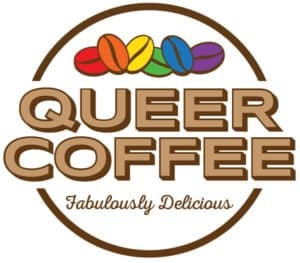 Queer Coffee encourages our fans to show the Campaign for Southern Equality some love, by liking them on Facebook or following them on Twitter. 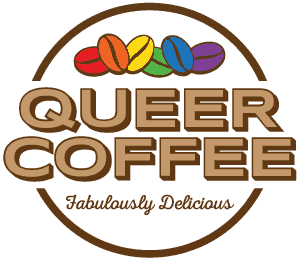 You can also donate directly here or sign up to receive our enewsletter and we’ll announce when production of Queer Coffee begins. Two dollars from every bag sold will support the work of the CSE!